The Hera Research Newsletter (HRN) is pleased to present the following exclusive interview with legendary international investor, best selling author, adventurer and family man Jim Rogers, Chairman of Rogers Holdings and founder of the Rogers International Commodity Index (RICI). Jim Rogers’ commentaries on economics and finance have been featured in Time, The Washington Post, The New York Times, Barron’s, Forbes, Fortune, The Wall Street Journal, The Financial Times and other major publications, and he appears regularly on television networks around the world. Between 1990 and 1992, Jim Rogers fulfilled his lifelong dream of motorcycling across six continents in a 150,000 kilometer journey that won him a place in the Guinness Book of World Records. He also undertook a Millennium Adventure in which he traveled around the world in 1101 days, passing through 116 countries and traversing more than 245,000 kilometers. Jim Rogers’ English language books include Investment Biker: On the Road with Jim Rogers (1994), Adventure Capitalist: The Ultimate Road Trip (2003), Hot Commodities: How Anyone Can Invest Profitably in the World's Best Market (2007), A Bull in China (2008), and A Gift to My Children: A Father's Lessons for Life and Investing (2009). Hera Research Newsletter (HRN): Thank you for speaking with us today. Let’s start with the world reserve currency. What do you think about the International Monetary Fund (IMF) replacing the US dollar as the world reserve currency with Special Drawing Rights (SDRs)? Jim Rogers: The world didn’t have an IMF for a few thousand years. The IMF was founded after the Second World War to take care of any short-term currency needs that countries might have. It turned out pretty quickly that they didn’t have very many as the world recovered from the war, so the IMF found other things to do. They now have thousands of employees and have manufactured jobs for themselves. They’ve not had much success, if you look back over the past 60 years. Nearly everything they’ve done was wrong. Why do we need the IMF? It’s not 1945 anymore. HRN: Rather than using a national currency as the world reserve currency, what about a global central bank? Jim Rogers: That’s not what the IMF is, first of all, but even if they were, we certainly don’t need a central bank for the whole world. We never had one and the world got along pretty well for thousands of years without bureaucrats taking the world’s money. I’ve never added up how much the IMF has spent during the last 60 years but it must be a staggering amount, and for what good? I mean, we certainly haven’t gotten anything out of it. We haven’t gotten nearly as much for our money as they have spent. HRN: So, you wouldn’t agree with using IMF SDRs as the world reserve currency? Jim Rogers: I’m sure the world does need to replace the US dollar. I’m not the only one who knows that. The US dollar is a terribly, terribly flawed currency. The US is the largest debtor nation in the history of the world. Something has got to be done. We cannot continue with a currency which is so deeply flawed and something is going to have to be changed. Special Drawing Rights, I don’t know. It could work. I don’t know what’s going to work. Most people, however, want to have something in their hands that they think they can spend. A Special Drawing Right is pretty amorphous and, while some professors and some bankers may understand them, I suspect that most people in the world will not understand Special Drawing Rights and will not be terribly enthusiastic, if that’s what happens. So, I would suspect it wouldn’t last. You know, I cannot imagine that a Special Drawing Right, which has no real existence, could survive a crisis or two. Human beings just don’t think that way, I’m afraid. HRN: Would you advocate a commodity-backed reserve currency instead? Jim Rogers: Reserve currencies can be anything that you want. The problem with paper money is that it’s easy to debase and abuse. As I said, the US is the largest debtor nation in the history of the world. They keep printing the stuff. The UK, once upon a time, had the world reserve currency. They abused it mightily. Eventually the world just said “no, we’re not going to take sterling anymore” and rightly so. So, in my view, that’s the problem with paper money. Now, gold has its own problems too. Gold didn’t survive very long either as the world reserve currency since politicians kept changing the rules. Unfortunately, politicians know how to abuse and destroy. One can think of various and sundry solutions. My only worry is that, no matter what mankind has come up with in the past, politicians have always found a way to abuse it and debase it. HRN: Do you think a return to the gold standard would constrain government abuse? Jim Rogers: Well, it never has. The Romans had precious metals as their currency and do you know the term “debase”? The Roman politicians had the brilliant idea that if a coin was 100% pure precious metal, they could slip a little base metal in and, over a couple of hundred years, they went from 100% pure precious metal to almost 0%. That’s where the term “debase” comes from. So, we’ve tried it. HRN: You mentioned that the US is the largest debtor nation in the history of the world. Do you think that will lead to high inflation or hyperinflation in the US? Jim Rogers: Well, there will be inflation. First, you have to have inflation before you can have hyperinflation. I mean, we have inflation now. If you go to the shop, whether it’s groceries, or education or insurance or health care, prices are going up for everything. The government lies about it in the US. Some countries lie, many countries don’t: Australia, China, India and Norway. Many countries don’t lie about it and acknowledge that we have inflation. Others lie about it, the UK and the US, but if you go shopping you know prices are up. HRN: Are you saying that the American Consumer Price Index (CPI) published by the US Bureau of Labor Statistics is a lie? Jim Rogers: In my opinion, yes, of course it is. Have you looked at it? They’ve changed their accounting several times in the past few decades. When housing was 20% to 25% of the CPI and housing was going up, they didn’t count it, saying rents weren’t going up, and then when home prices started going down, they counted it. It’s the same with many things. It’s staggering some of the tortuous reasoning that the BLS has used over the past 25 or 30 years. When the price of gasoline goes up, they say it’s not really going up because it’s better gasoline, better quality, therefore you’re getting more for your money. I mean, it’s endless, the stuff that they say and for some reason people sit there, although more and more people are catching on, and accept what the government says. As I said, in other countries, they acknowledge that there’s inflation. I don’t know how there could be inflation in Australia and not in the US; how you can have inflation in Norway or India and not in the US, but the US says there’s no inflation. HRN: An article in the Telegraph by Ambrose Evans-Pritchard reported this week that the US Federal Reserve’s M3 monetary aggregate is estimated to be contracting at an accelerating rate, in other words, deflation. Jim Rogers: What’s going down in price in the US economy? I’d like to know where you shop. We know home prices are down. Oil prices are down to $73 per barrel, if you’re talking about a monthly or quarterly basis, or even an annual basis. I’m talking about what’s going on in the big picture. Where is the deflation in the US? HRN: Some people believe a contraction of M3 indicates deflation. Jim Rogers: Is M3 something you buy in a shop? M3 can lead to changes in the price structure, but M3 is not price inflation or deflation. HRN: That’s a good point. Inflation is a concern in Europe and the Euro seems to be in trouble. Can the Euro survive? Jim Rogers: I certainly expect the Euro to be around in 2012 or 2013, but whether it’ll be around in 2023, I don’t know. It’s becoming more and more a political currency. It wasn’t always. In the beginning, it wasn’t a political currency. It was designed to be a rock solid currency, but, since then, it’s become a political currency and most political agreements or political institutions don’t last. No currency union has ever lasted. It’s been tried before. I wish the Euro would survive. The world needs something to compete with the dollar. The Euro, on paper, makes enormous sense, but, unfortunately, the people who wrote that contract back in 1992 are all gone now and the new guys all want to buy votes. So, I would like to see the Euro survive, but, in reality, I don’t see how it can. HRN: So, you expect more inflation in Europe? Jim Rogers: Yes. Printing money has always led to inflation, eventually. When things go wrong, governments have always printed money, at least in the last few decades. That’s all they know and they will do it again. There will be times, obviously, when the printing presses slow down or even stop but when things get bad again they start over, and that’s all they know. HRN: I’ve read that China is experiencing high inflation. Jim Rogers: There is inflation in China. There are many places that are reporting inflation. It’s dumbfounding to me that many countries have inflation and the US doesn’t. That’s because some governments lie and some governments don’t. HRN: It’s been widely reported that Chinese real estate is in a bubble. Do you think that’s true? Jim Rogers: In urban, coastal real estate there certainly was a bubble. That’s not the whole of China. Have you ever looked at a map of China? Do you consider urban, coastal real estate the Chinese economy? Where’s the bubble? Other real estate in China has, for the most part, had very little movement. HRN: Do you think China’s economic growth is sustainable? Jim Rogers: Is it sustainable, yes; every quarter, every year, of course not. You know, in the United States in the 19th century, we had 15 depressions, a horrible civil war, no human rights, massacres in the streets and very little rule of law, and yet, out of that, we had a pretty successful 20th century. China is going to have many, many problems as they rise. I don’t know what and I don’t know when, but I know it’s going to happen. I don’t see any other country on the horizon that is going to have, long term, a sustainable, good future in the 21st century. HRN: You’ve talked about inflation, pointed out problems with the US dollar and the Euro, and described the rise of China. How can citizens of Western countries protect their wealth? Jim Rogers: Historically, the best way is to own commodities. Throughout history, the way you protect yourself when currencies are being debased is that you own real goods. Whether that’s silver or cotton or natural gas or whatever it happens to be, you own something that’s a real good. As the value of money is debased, some things will maintain their value and some will even increase. HRN: Investors seem to be turning to gold as a way to preserve their wealth. Jim Rogers: Gold has been, historically, a good way to preserve wealth, but so have other things as well. I own gold. Gold is making all-time highs. It certainly has been a way to preserve wealth in the last decade. Whether there are better things in the next decade or not, and I suspect that there will be better things, I do own gold. HRN: You mentioned silver as a way to preserve wealth but gold seems to be in the spotlight. Jim Rogers: Let’s put it this way, silver is about 70% below its all-time high. Gold is making all-time highs. Often, one is better off investing in things that are down 70%, rather than things that are making all-time highs. HRN: Thank you for being so generous with your valuable time. 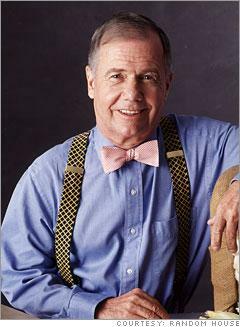 Jim Rogers: Thank you very much. Contact me any time. Jim Rogers doesn’t mince words. When a person as remarkably successful and accomplished as Jim Rogers, and having long experience, states that the official statistics produced by government economists and views expressed in mainstream financial news outlets are incorrect, or disingenuous, one must take pause. Objectively speaking, for a majority of investors, views that are at odds with those of Jim Rogers are probably wrong. According to Jim Rogers, the US dollar is deeply flawed because the US is the biggest debtor nation in the history of the world and, although an alternative currency is needed, the Euro will not survive in the long run because it has become political and IMF SDRs will probably not last as a reserve currency in the face of significant global economic crises. Long-term trends point to inflation and to the sustainability of China’s economic growth, as well as to China’s ascent as a world power. As prices inevitably, eventually rise due to inflation, real goods stand out as a time tested way to preserve wealth and to profit from changing economic conditions. In simple terms, currencies can be printed but real things cannot. "Now, gold has its own problems too. Gold didn’t survive very long either as the world reserve currency since politicians kept changing the rules. Unfortunately, politicians know how to abuse and destroy. One can think of various and sundry solutions. My only worry is that, no matter what mankind has come up with in the past, politicians have always found a way to abuse it and debase it." Advocates of a gold standard focus on the benefits of gold as money but often fail to acknowledge that when things get rough (e.g. war, recession/depression), politicians can quite easily walk away from the gold standard. While this is not an indictment of the gold standard itself, it does point out that simply adopting a gold standard is not a long term or permanent solution to monetary problems. Discipline is the key, and politicians can be disciplined with fiat currencies just as they can be with the gold standard. The problem is that the converse is also true.